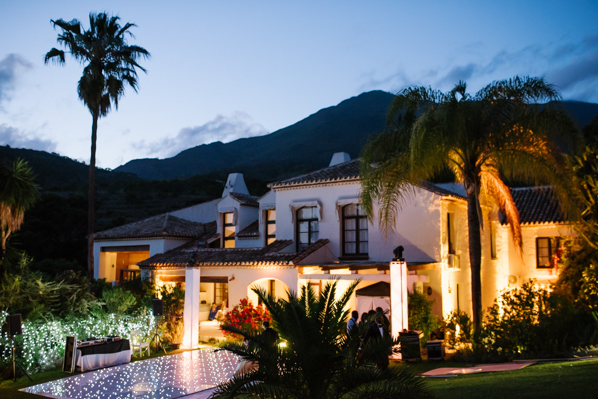 Kelsey originally got in touch with Sunshine Weddings Spain to discuss villa options for her upcoming wedding. Her dream was to find somewhere with a relaxed feel but with enough space outside to accommodate up to 100 guests, who would be travelling from as far as the Congo to enjoy their alfresco wedding celebration. With two children of their own, family was very important to the couple and would be playing play a key part in their special day. On their first meeting with Sunshine Weddings Spain, Kelsey and Yannick sat down with Scott to go through all the finer details. After visiting a selection of venues and churches, the couple finally decided on a picturesque villa nestled in the valley of Casares which boasted breathtaking views of the mountains. The rustic, open-plan country residence was set on a large plot with lush mature gardens, giving a real taste of the Andalusian countryside; you would never believe that the Costa del Sol is only a 15 minute drive away. It was decided that the immediate family would stay at the villa while the rest of the guests would be able to enjoy a beach-side hotel situated in Estepona. Find out in part two what happened on the day itself.